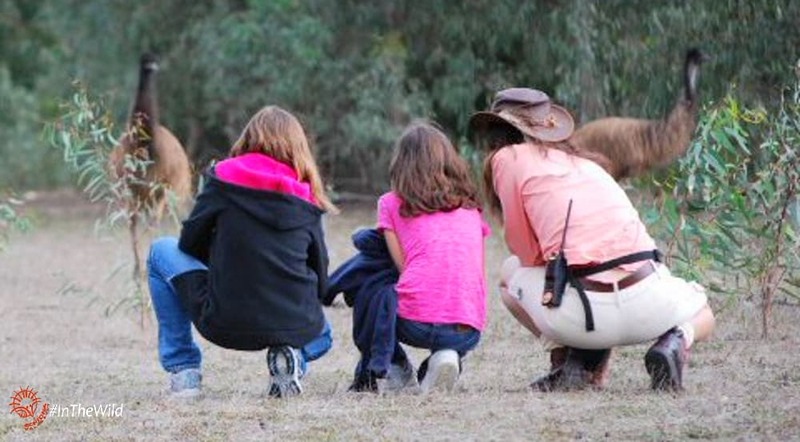 What are the key ingredients of a great wildlife tour for families? 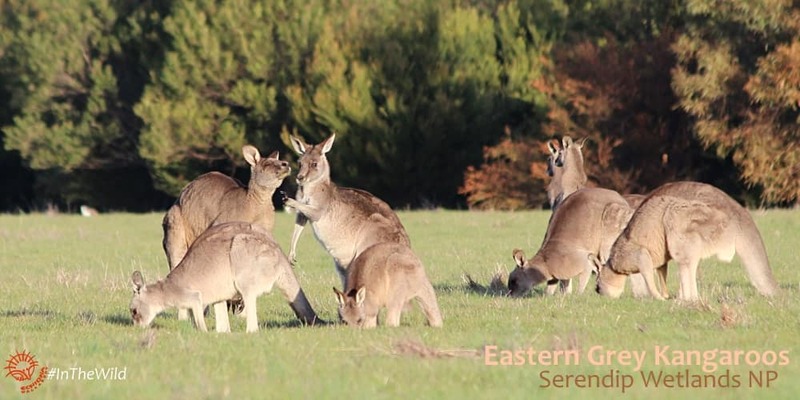 Eastern Grey Kangaroos live in families all the time. A family is called a mob. 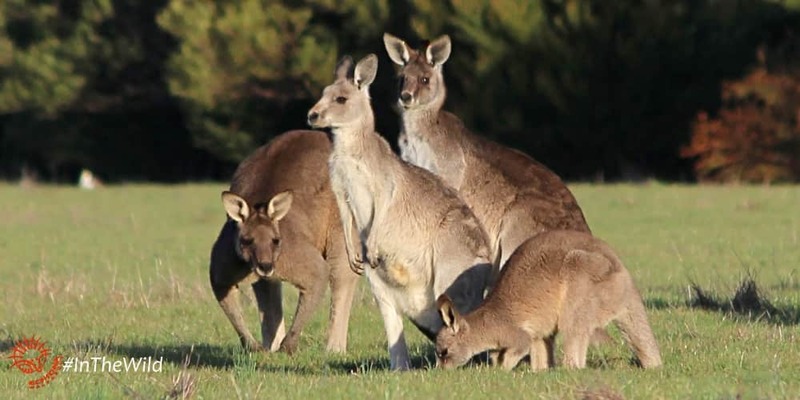 On hot days, kangaroos seek shade and spend the daytime hours resting under a tree with their close family. A huge dominant male will usually get a shady bush to himself, and nearby females will lounge with their joeys. As sunset approaches the kangaroo family emerges from the shade. They hop out into the grassland to feed and socialise. 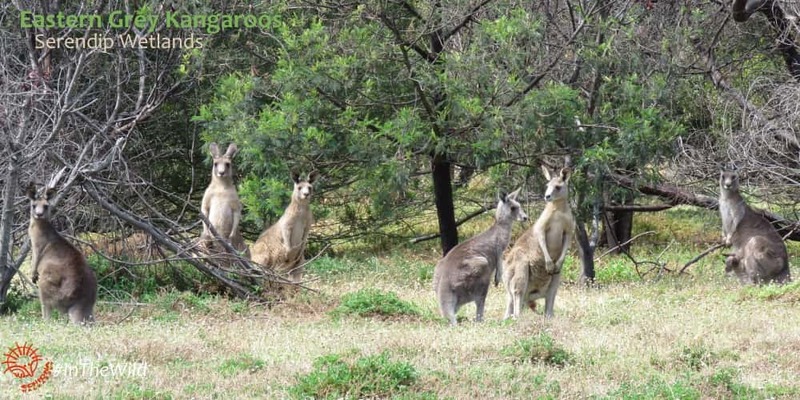 Watching them is a highlight of the Sunset Koalas & Kangaroos tour. 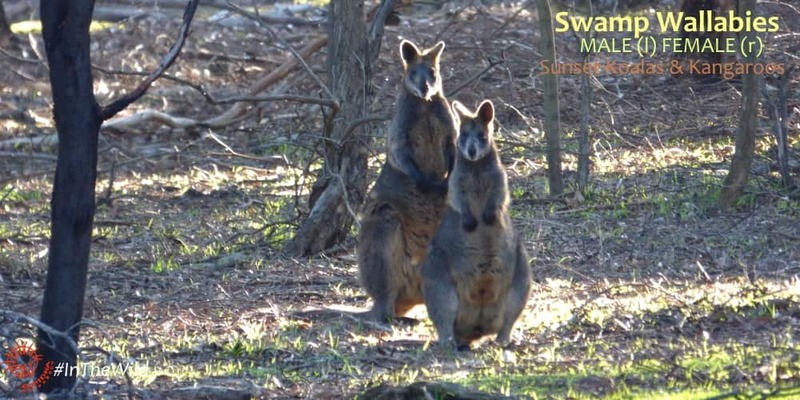 Read why Australian wildlife is most active at sunset. 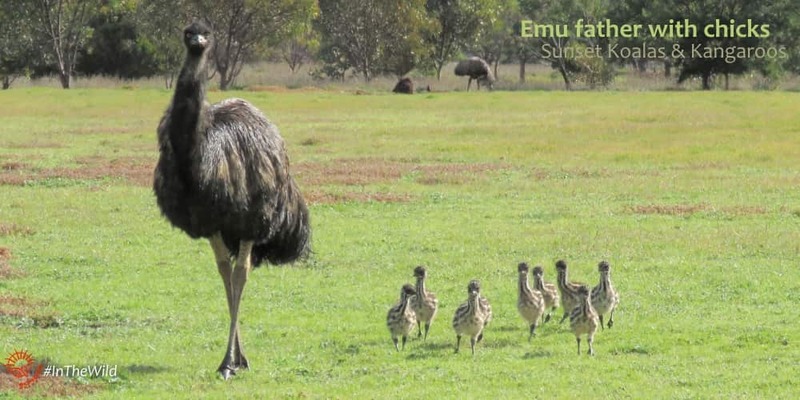 Emus have unusual families – just dad and a big mob of kids. 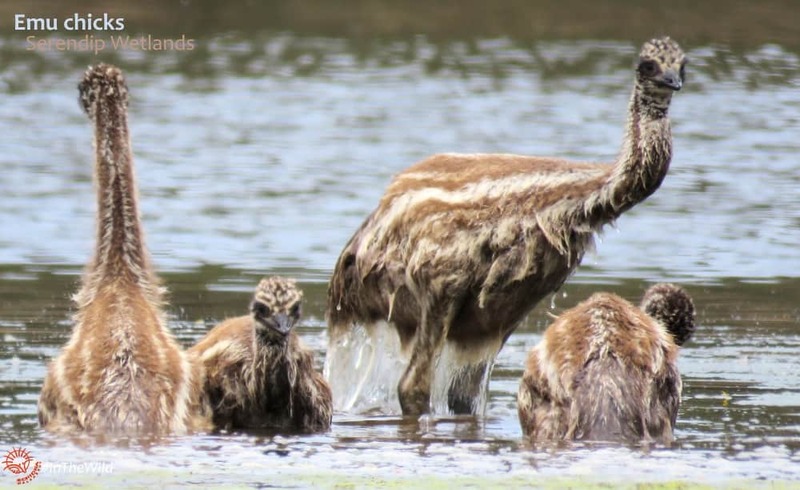 Emu mother simply lays the eggs, then father takes over. He sits on the nest – a scrape on the ground – for two months in winter, then when the chicks hatch, he plays security guard, cook and teacher 24/7… for a year. 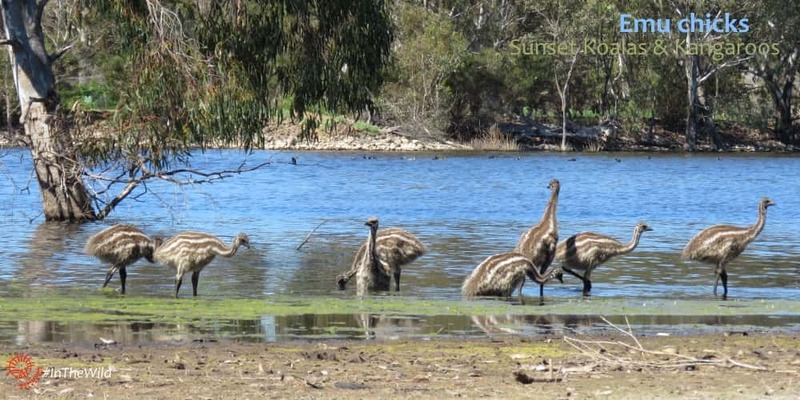 During the southern summer from November to February emu chicks are teenagers, and at their most curious. It is not unusual for them to approach groups of people on the sunset tour. It’s really funny to be out in the grass watching kangaroos, and look over your shoulder to see a family of emus watching you! Like most kids, they also love water! Swamp Wallabies have small families. 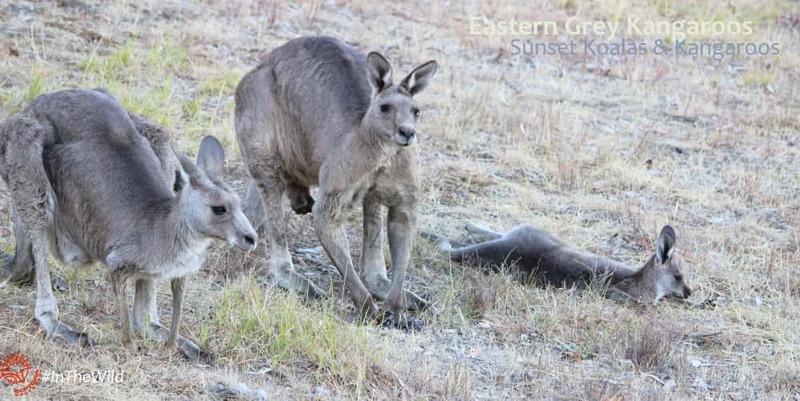 Most of the year they are solitary, but in late spring (October, November) you can see a mother wallaby with a pouch joey, and a male hanging out together. Not all family interactions are friendly! 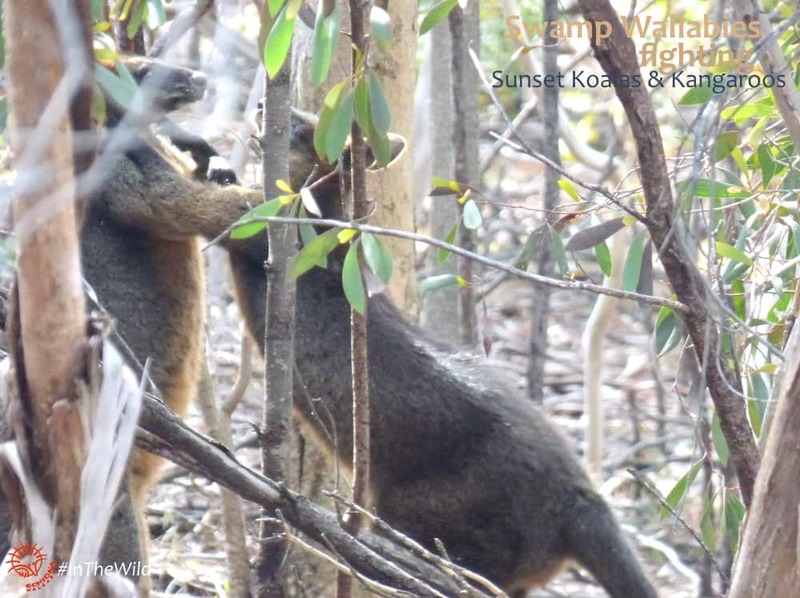 We sometimes see male Swamp Wallabies displaying to each other, or even fighting. If you are very lucky – especially on our 3 day Great Ocean Road tour – you might even see a wallaby swim! 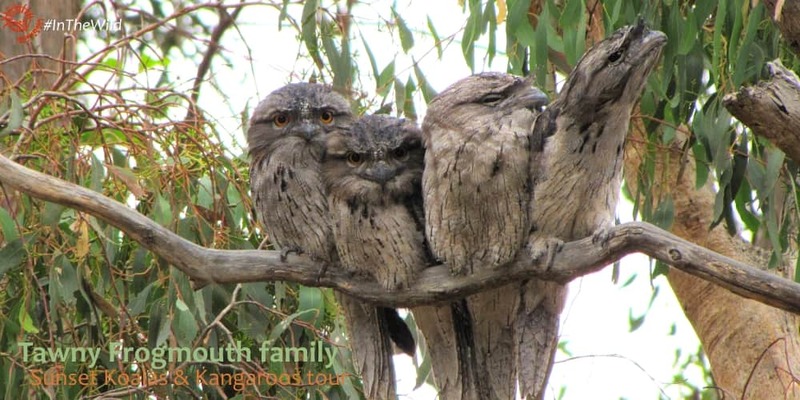 The prize for the cutest family goes to the Tawny Frogmouths. These strange creatures look more like soft toys than birds. They sit motionless on a branch all day, and become active after dark. Read all about Tawny Frogmouths here. Mum and dad Tawny Frogmouth nest in spring and by November chicks are out of the nest. The chicks learn from the parents to sit still and pretend to be a branch. But the camouflage doesn’t work as well when the whole family of four sit cuddled together! 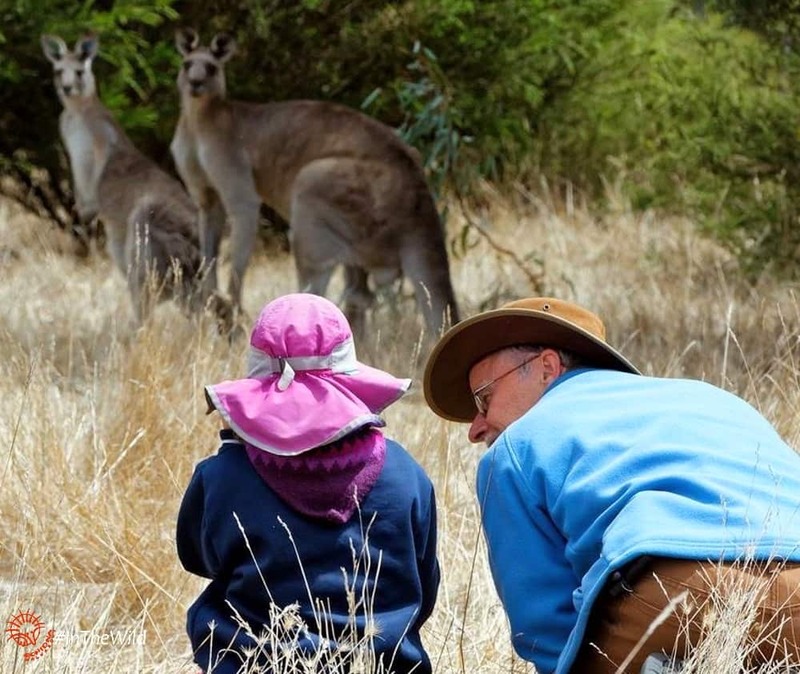 The Sunset Koalas & Kangaroos tour departs Mondays, Thursdays and Saturdays from 1 November to 28 February each year. Families can also book it as a private tour on any day of the week.